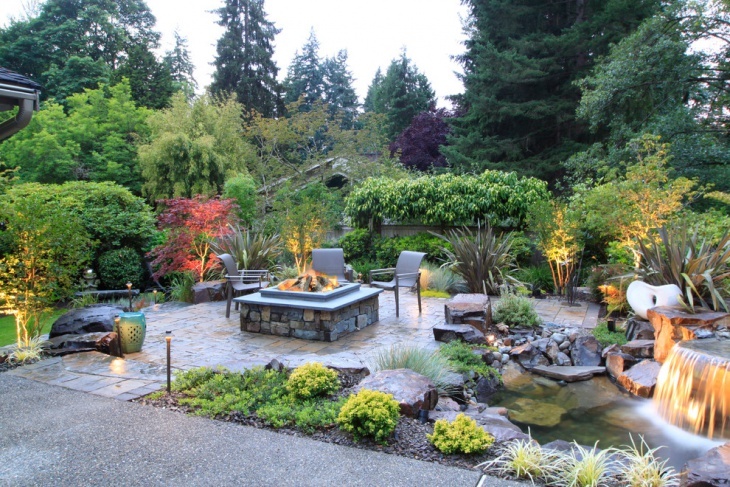 Landscaping refers to an activity that alters the visible features of an area of land, including flora or fauna. Landscaping greatly differs according to the geography. 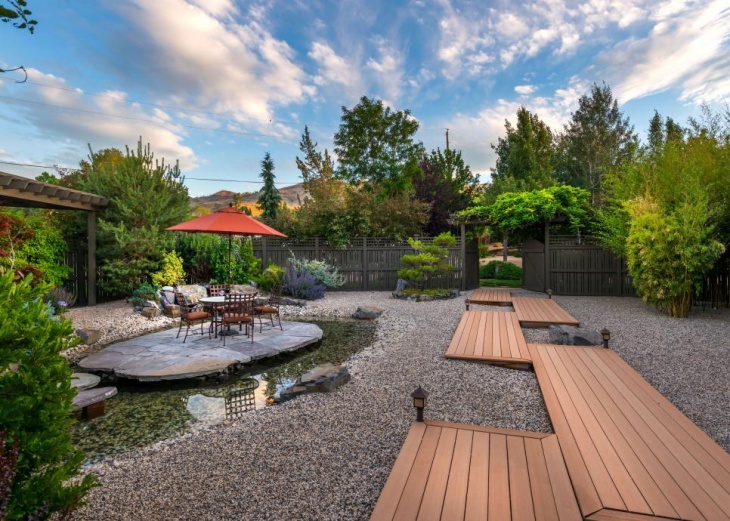 Therefore, normally local landscaping experts are best if it is done for the first time. Understanding of the geology of the site is one of the main requirements for successful landscaping. 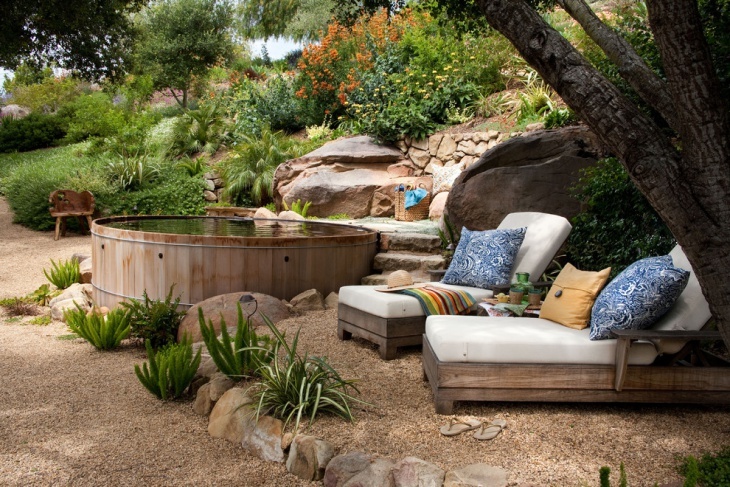 Pools are the areas which bring out the playful mood. 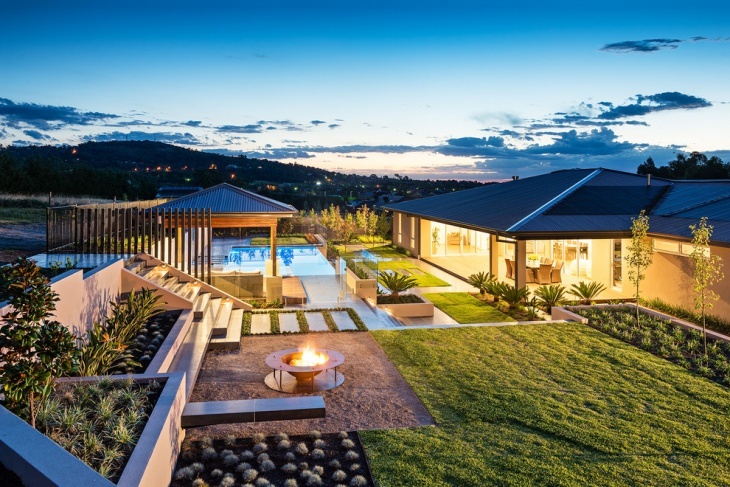 It’s a clever choice to team up the pool area along with gravel surroundings and pathways. Because the water spillage from the pool can ruin a muddy surrounding. 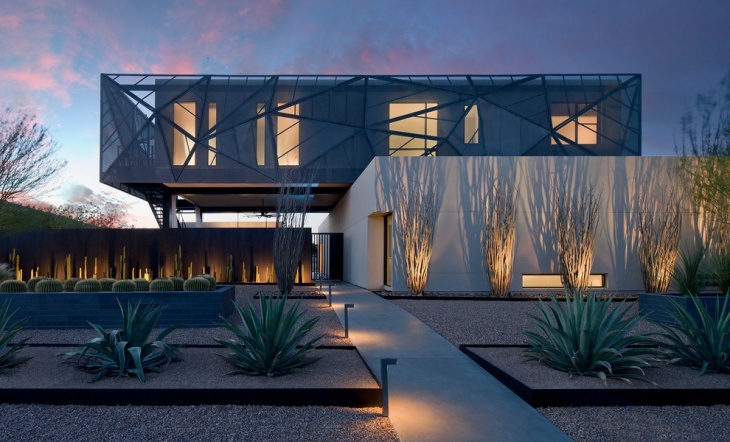 Modern landscaping is elegantly geometric. 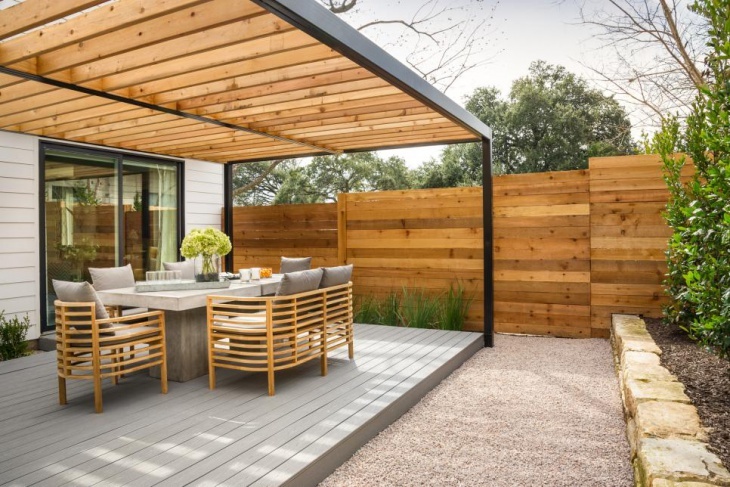 Crisp lines and wide open spaces combine with crafted detailing to give birth to contemporary outdoor spaces. The trick is combining all the elements together in a way that is unique and attention-seeking. 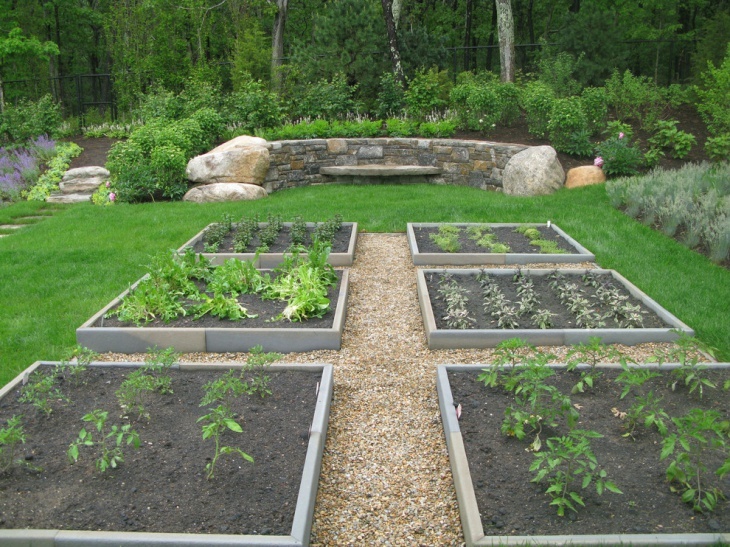 Present day versions of traditional landscapes often include kitchen garden. 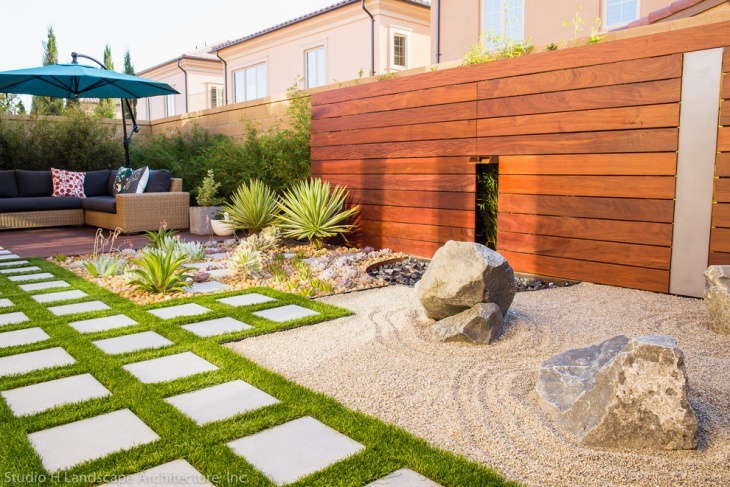 General materials used in traditional landscaping are stone, wood, brick and pavers. 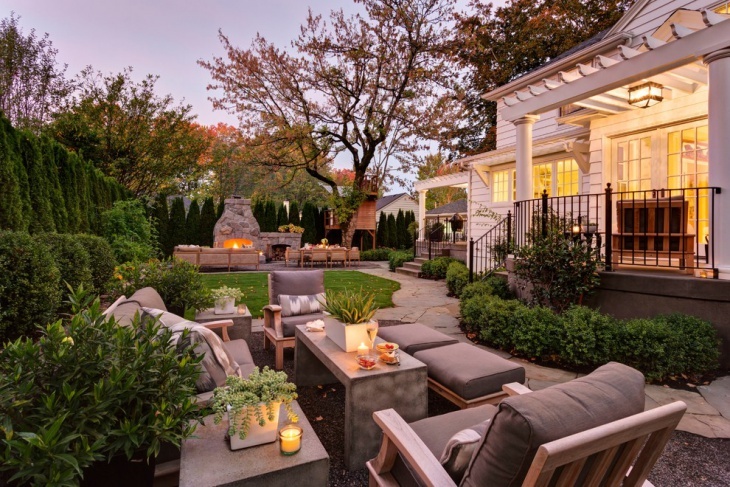 The overall goal of a traditional garden design is to get an elegant and well-defined outdoor space. 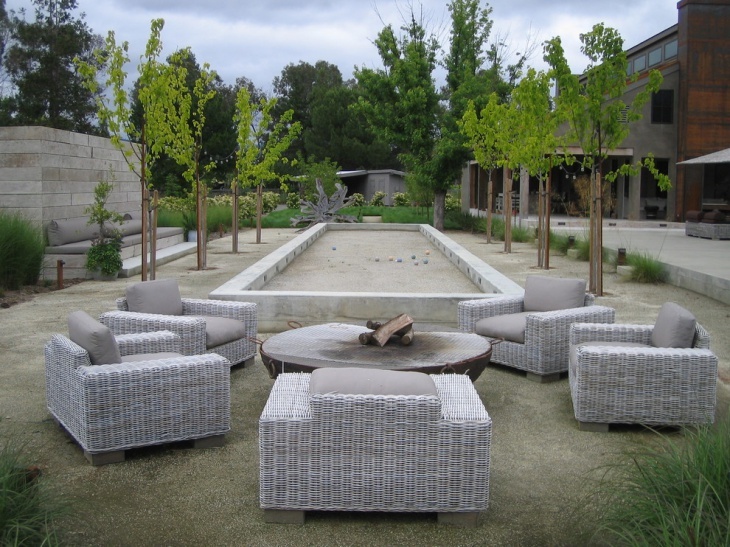 A seating area in the yard or landscape can be an amazing spot to unwind after a long day or to entertain guests on the weekend. A number of materials can be used. 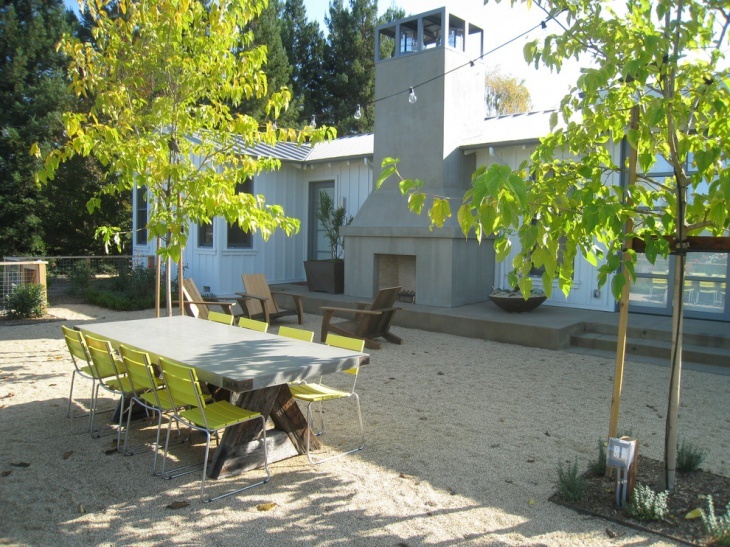 Gravel is a fine choice as it provides a durable surface also adds color and texture to the landscape. 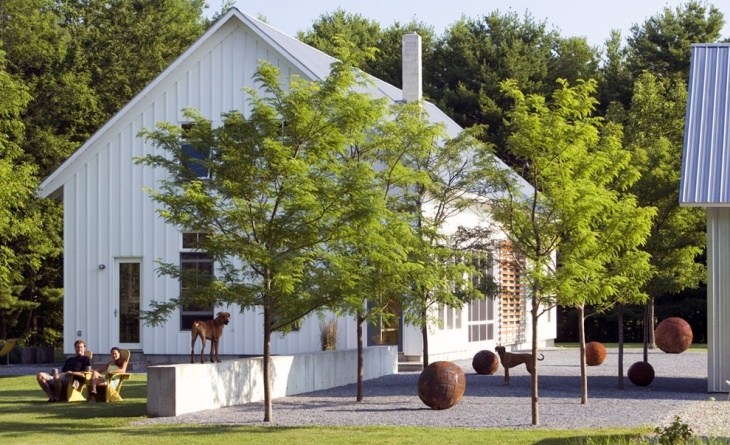 Gravel has always been a friendly landscaping element as it requires low maintenance. 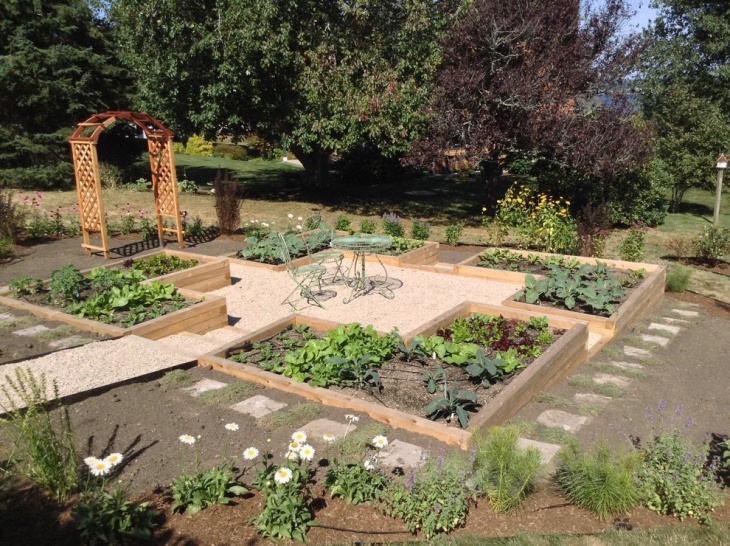 The use of gravel also cuts down the amount of water consumption in your garden. It is tough enough to cover paths and driveways. Installed for their functionalism as well as their beauty, fireplaces often become the center of attraction, giving you a sense of warmth and security in the open space. Make sure, the material your fireplace is made up of is able to resist the natural elements. What’s more exciting than enjoying your meal outdoors with your family on a sunny day? Put up a dining table in your garden and spruce it up. The dining area can be surrounded with edges to give it a room like feeling. Rock has to be an important element in the landscape. Gravel gives even more room for experimenting. 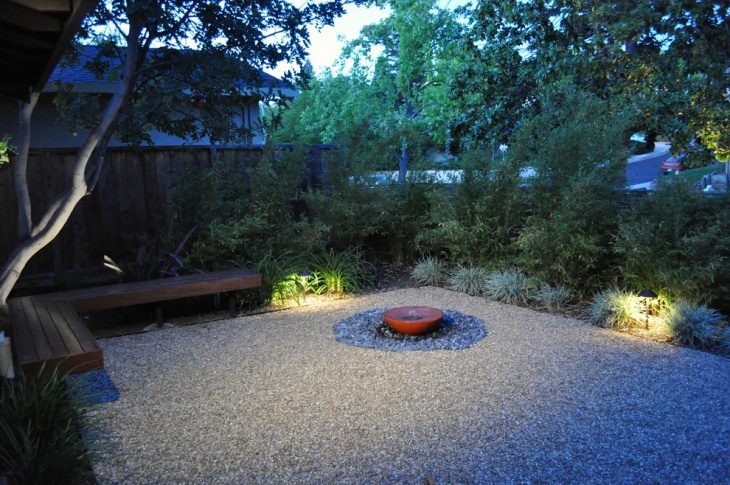 A gravel path is clean and simple, natural, attractive and pocket friendly. 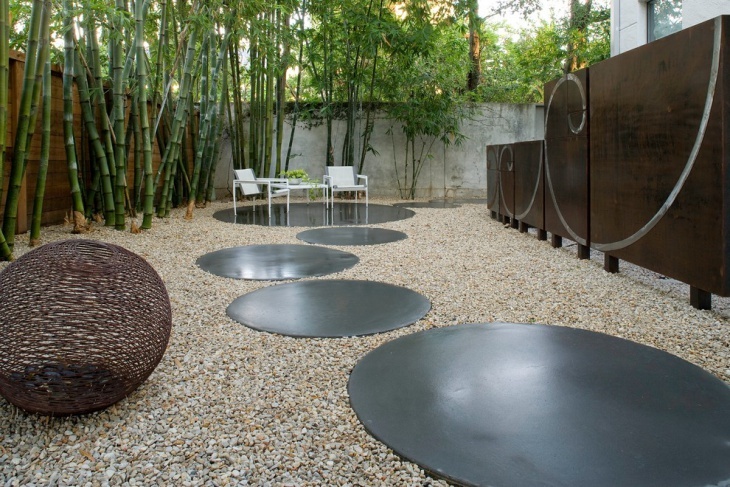 Gravel pathway can be a part of both formal and informal garden. 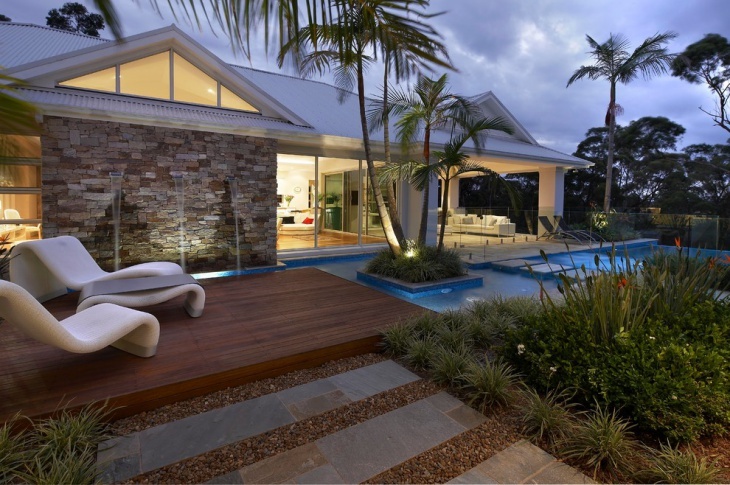 The crucial focus in modern home landscape is on hardscape and structures more than on plants. Metal, wood and concreate are the popular materials used here. 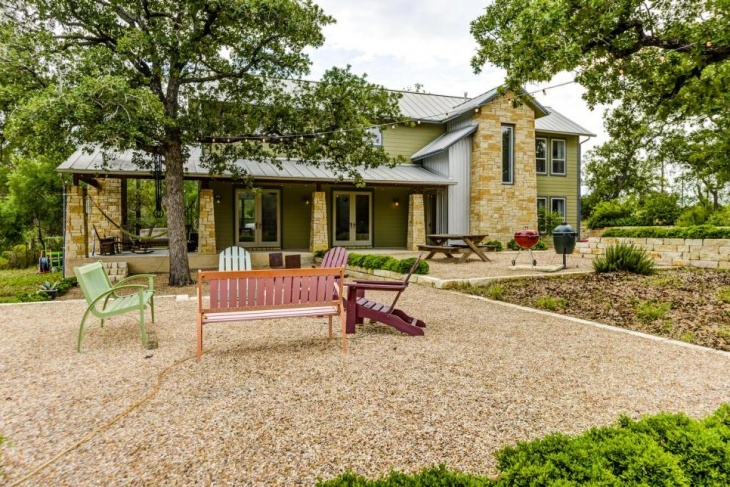 Having a fire pit in your landscape seems to be an adventure. 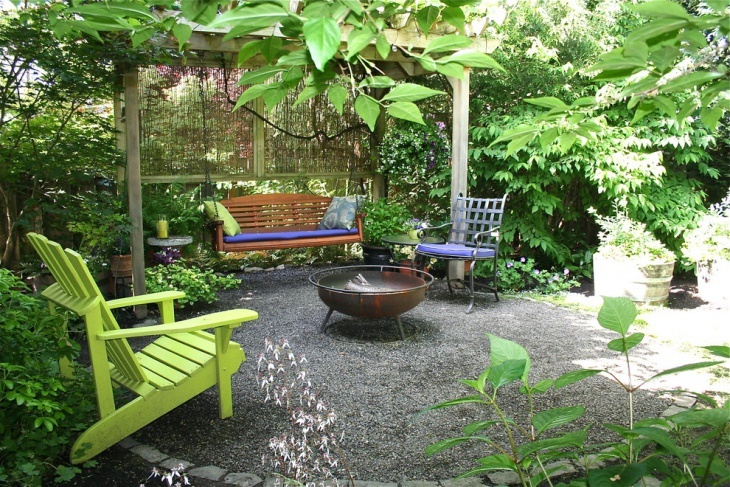 A fire-pit can be built-in, or you can opt for a portable one that can be moved about as desired. 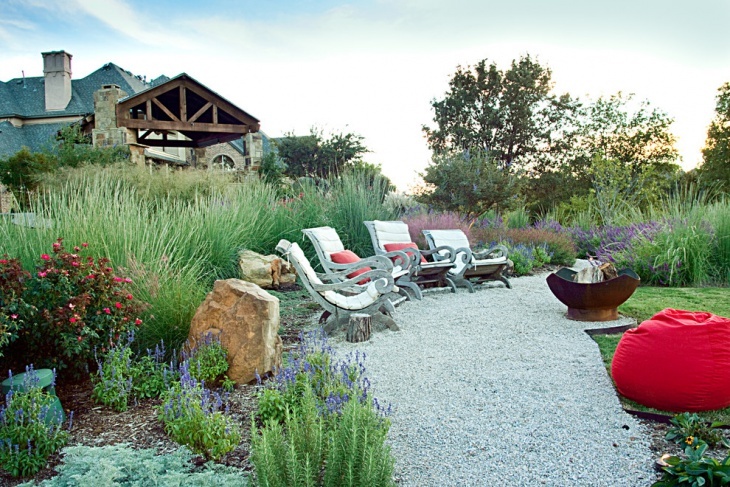 To get a more rustic feel, huge boulders can be gathered around to make a fire pit. How To Create a Gravel Landscape? Start with creating pathways. 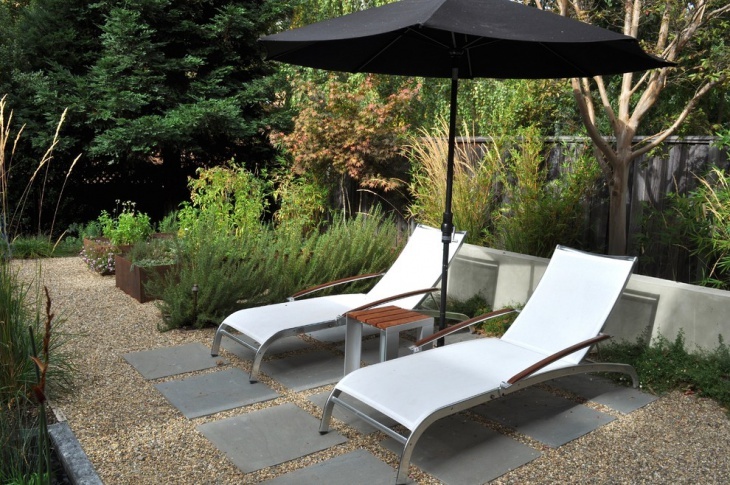 You can simply carve it out or install gravel tiles. Craft out any essential area such as seating, fire place, pool, fountain etc. Add detail with the help of edges or flower beds. 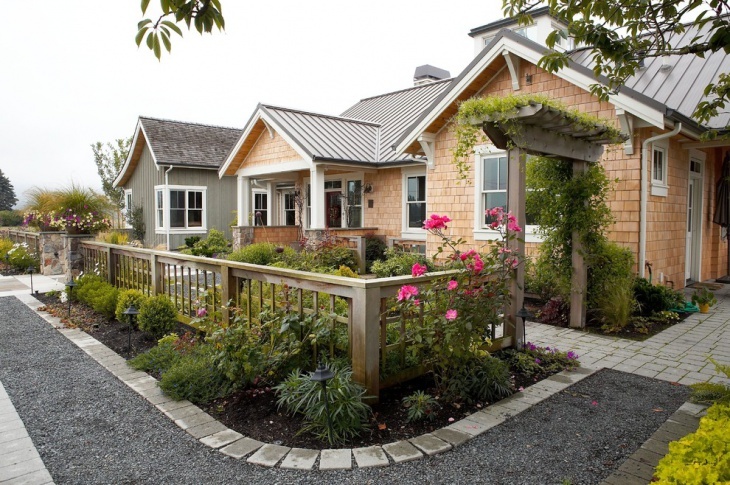 Make sure the landscape is self-sufficient to withstand the regular wear and tear. Take care of the wet areas, they shouldn’t be slippery creating any accidents.